Rock-hard, unripe avocados are enough to make a grown person cry (especially if you’re that person and you’re pumped to eat a big bowl of guacamole RIGHT NOW). Maybe the only options at the store were hard and unripe. Or maybe you thought it was ripe, but sliced into it and found otherwise. Sure, you could put it in a paper bag with a banana or in a bowl of rice and wait a day or two until it yields to gentle pressure. But what if you want to eat it today? Two words for you: avocado pickles. Perhaps you think, as most people do, of a pickle as only that spear- or round-shaped slice of cucumber that comes in a jar and is served on hamburgers. But a pickle can be almost any vegetable or fruit that’s soaked in a brine, which is typically made from vinegar, water, salt or sugar (or both), and spices or herbs. Pickles, especially quick pickles made from avocado, are super easy to make. If you can boil a pot of water and cool it down, you can pickle. And be sure to start with clean jars! Since avocado pickles will not be water bath canned, sterilization isn’t necessary. Some pickles taste best when they’ve had time to sit for a month, but others are ready for those of us who need almost instant gratification, and that’s the glorious part about avocado pickles: You only need to wait an hour or two until they’re ready to go! The brine will seep into your rock-hard avo and soften it slightly as the avo takes on the brine’s bright, tangy flavors. Because the pickling process softens the avocados, these aren’t the type of pickles that you can store forever — you’ll need to eat them within a week. Oh, and the acid in the vinegar will prevent the slices from browning, so there’s no need to add lemon or lime juice. 1. Halve your avocado, remove the pit, then cut each half into slices. 2. Wash and dry two jars. 3. Place the cilantro, garlic, and peppers into two jars, then fill the jars with your avocado slices. 4. Heat the vinegar, water, salt, and sugar until the salt and sugar dissolve. Let the brine cool to room temperature (you can speed this up by placing the container of brine in a bowl of ice water or putting it in your freezer). 5. Pour brine over your avo slices, then seal the jars and let them sit in the fridge for an hour or two. It’s a really versatile recipe, too! You can change apple cider vinegar to your favorite vinegar, omit the sugar and increase the salt, or up the sugar and toss in your favorite spices. This is really a DIY recipe at its finest. You can eat your avo pickles straight from the jar, put them on top of your favorite taco, burger, salad, or sandwich, or pair them up with some fish. 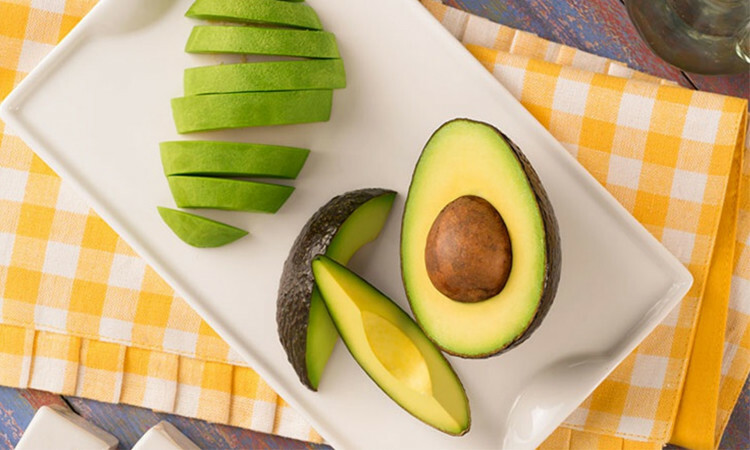 Add them to your favorite avo wrap, put them in a grain or bean bowl, or use them as a garnish for soup. The possibilities are endless! And who knows? You may just find yourself hunting unripe avocados so you can keep a steady supply of pickles on hand.